Upon hearing that the newest flavor of Shakeology was to be Tropical Strawberry, I was very excited! Upon hearing it was Vegan, I didn't realize there should be any concern! Vegan shakes are not known to be very tasty, nor to have a great texture. This is due to the protein source!!! 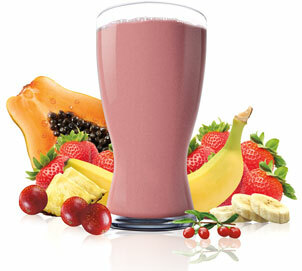 Protein shakes are usually whey or soy based... neither being Vegan, but both blend very smoothly. Beachbody played with many options in searching for the best vegan protein source but settled on sprouted fermented brown rice!!! Nice!!! I was able to sample Tropical Shakeology last June and LOVED it! Amazing flavor, rich, creamy and perfect! Alas, when my Tropical Shakeology arrived last week I ripped open the bag, added a scoop to my regular measuring cup with ice, water, almond milk and a few frozen strawberries, mixed it until just blended and ... wasn't too impressed :( It was chalky and a bit gritty... uh oh, what to do? I did a little digging and learned a few tips... Blend longer! Allows the protein to soften a little maybe? Add some acid such as orange, cranberry or pineapple in juice or whole form! Don't add so much ice! It tastes better as a thick drink or light shake as opposed to being eaten with a spoon! Two other suggestions move the shake away from the Vegan format but adding Greek yogurt and/ or adding fat free, sugar free jello pudding powder... sure they work, but not what I was after! My favorite recipe is 1/2 cup unsweetened almond milk, 1/4 cup frozen pineapple, 1/4 cup frozen strawberries, 1 scoop Tropical Shakeology, 1/2 cup water, ice to taste... blend for 2 minutes. Let it sit for a few minutes, blend again for 1 minute... then drink. Today I had to drink some straight out of the blender as I couldn't wait to get it in a cup! Yep, loving it!! !